The 60 hours of study can be used across the three sections as per the user’s wishes. The three sections can also be accessed in any sequence and as many times as the user wants. This section describes a generic project planning process and helps to better understand and appreciate the intricacies of planning a project. The need for strategic planning at the top management level is discussed and how the strategic plans can be further broken down into operational plans and finally into project plans. Following this the steps for planning the project are explained in detail. We then see how an approved project is used as a reference point for project progress and control. This section covers advanced concepts aligned to the PMBOK Guide, 6th Edition. The knowledge areas of PMBOK – Integration management, Scope management, Schedule management, Cost management, Quality management, Resource management, Communications management, Risk management, Procurement management and Stakeholder management are covered. Covers over 100 major concepts. 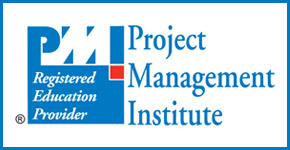 This section looks at the different skills needed to manage the project across the project life cycle phases – Conceptualize, Plan, Organize, Implement, Control, Integrate, Deliver & Closeout and knowledge Leverage. 28 key concepts are covered with focus on soft skills such as teamwork, leadership, motivation, conflict resolution, problem solving etc.